You’ve all been asking for it, so I’m going to make it happen! We’re going to do a second production of the Tugela! The Tugela was our first model and has by far been our most popular model to date. For the second run of the Tugela, we want to make a few minor tweaks to the original, and add a couple more colour options. These are the things I’m going to focus on. I’m looking at whether we can do the case of the Tugela in titanium (update: we stuck with steel for version 2.0). This would make it a major upgrade to the original. The downside is that it would make it a lot lighter. I might look at engraving the ‘DRAKEN’ brand name on the side of the case, as this is a feature we would like to carry on all our watches. I really want to step up the dial quality a notch with this production. We’ll be reworking the original design to make some of the lines bolder and make sure the dial print is crisp and clear. We’ll use the same dial maker we used on the Peregrine and Kalahari. This dial maker specialises in the layering of lume. To that effect, the lume on the new Tugela is going to be vastly improved. I also want the lume to have a slight green tint to it. This was how it looked in the original design, but not so much in the production run. I’m going to look at introducing a matt blue dial to match the blue bezel for a full-on aqua blue look. I really think this will look fantastic so stay tuned for renders! The orange on the minute hand will be a little brighter – less of a red, more of an orange. This will add better contrast with the dial. While many of our customers loved the leather straps, I think they can be improved on. We’re going to add a lining layer on both the bottom to improve the finish and increase the thickness of the strap. We’re also going fix the flimsy keepers that were on the production straps. Depending on how much we raise in preorders, we’ll look at doing a bracelet option. 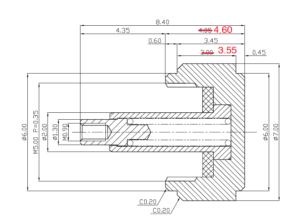 We really want to do it with solid end links, so this will mean opening a new mould which will cost a little extra. The crown on the original was a little short and hard to unscrew with the crown guards. By making these 0.55mm long it will give you that extra grip to screw and unscrew. The original Tugela had a few QC issues with the movement. This may have been due where the NH35A’s were made. I will be making sure that the top grade version of this movement is used on the next production of the Tugela. Some customers reported bezels that had a bit of play. The source of this problem has bee isolated and we know how to resolve it. You can be sure that the bezels on the next run of Tugelas will be tight, with a satisfying click. We’ll be sticking with the aluminium bezel insert. I really like the idea that your bezel will gain character over time with each little scratch telling a story. This is known as ‘Wabi’ in Japanese. We really hope you will use this watch as a daily beater. They weren’t designed to be left in a watch case. We’ll keep it at the same price (US$300) but offer a good discount for preorders – possibly 25%. I would love to hear your thoughts on the above tweaks. Let me know in the comments below. Ok, thats a good new. Offer in red ? And where we pass the order? There will still be a red bezel Tugela. We will send out an email when the pre-order starts on the website. Stay tuned! Ok two things. First, the high position of the lug holes forces the nato/Zulu strap to make an extreme turn before going back down to the wrist, which is not as comfortable as other watches I have where the lug hole is near the lower tip. Could you move the holes to the lower side of the lug? Have you considered decorating the inner bezel ? Good point on the lug holes. We’ll review the position of this and see if it can be moved. Yes great, i would like to have one and would order one. Definetly. But in my opinion, a diver must have a stainless steal or a Kautschuk strap. Engraving the draken Brand in the side is a great idea. It looks very cool at the Kalahari. So please inform me if i can preoder one. Many greetings from germany. Thanks for the feedback Maurice. I’ll do my best to get a steel bracelet made. This sounds great. Please let me know when the pre-orders start. Will do Stephen. Keep an eye out for the email from us. Looks like the watch I’ve been waiting for. Would be good to see several strap braclet options with pre-order deals. You can count me in for one with a red bezel on a bracelet. Especially with a preorder discount. 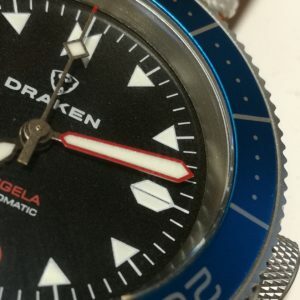 Just found out about draken from one of the watch review sites. Cheers Matt. Glad you found us! We’ll keep you posted on the when the pre-orders go live. I always wanted a Red Tugela and looks like it is going to happen soon. Kindly let me know when pre-orders start. 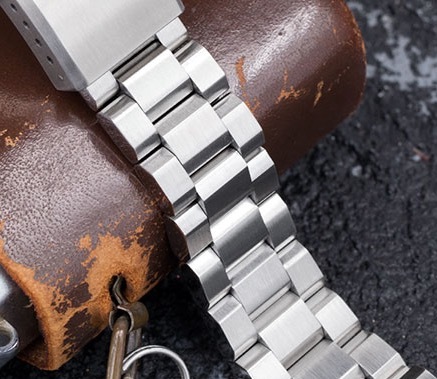 I have an original Tugela and would definitely order an upgrade, with one small caveat – that in fact stopped me ordering the Kalahari – around the logo engraving on the side of the case. It’s obviously subjective but to me it cheapens the aesthetic quite a lot. I know you’ve mentioned wanting to carry it through the range but thought I’d put a flag up against it to see if anyone else feels the same way? Loving everything you’re doing though – great watches with interesting features – can’t wait to see what you come up with next! There were several sharp edges on the original firstly the buckle, secondly the end of the lugs which made it very uncomfortable to wear. I think titanium would be a good idea as it would give better balance to the watch as the original can feel a little top heavy. Good watch but can be improved on. All these small improvements look great. Do you plan using titanium grade 2 or grade 5? Interesting to read that even the NH35 has different quality grades, like the Swiss movements. Can you explain more about that? That’s excellent news ! Great improvements to an already beautiful watch ! I am looking forward to seeing it in real ! Very good news, I already have a Tugela, a perfect outdoors toolwatch, will recommand friends to keep an eye on this. Thanks Henri. Your feedback is noted. Very excited for the new blue renders! This was a good way to start Sunday! Sounds good would be nice if you had a option for longer straps and extra links if you go with a metal band. 1. The hands look cheap. I think it’s the matte finish on them. 2. The anti-reflective coating is not clear. It’s milky and really bothers me. I have other watches with anti reflective that make the crystal so clear you almost can’t tell it’s there. The current anti reflective makes me feel like I’m looking at the dial through a window that needs to be cleaned. Thanks for the feedback Scott. We are looking at using a different supplier for the second run. If we do, there will be an opportunity to improve the hands and the AR coating on the crystal. Have you thought of a no-date version of the Tugela? I think a bracelet offering would go down well, as would a titanium option of the watch. I will have a play with the design and see how a no-date will look. Good idea! Great to see previous purchasers here with positive views, and your own thoughts on mark2 development improvements. Clearly quality accurate movement is key to any watch, and any sharp edges need fixing, as needs to be comfortable and fit nato straps well. Quality titanium would be good. New matt blue dial sounds great. Re Brand on side – I like the idea, especially the view made by another user on the other watch, indented section and brand ‘raised’ with-in it. 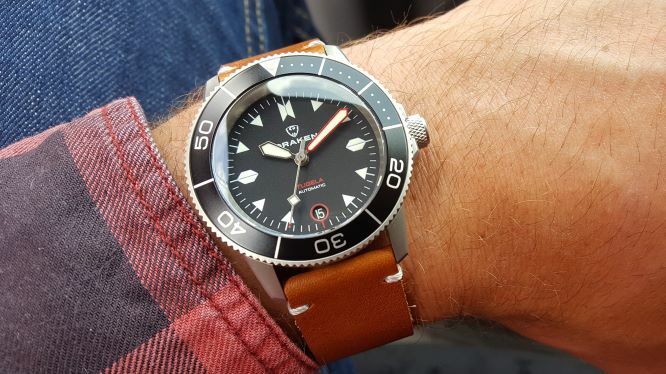 Love to see it come as early package, metal & leather strap, plus a nato? (With stripes, or main colour to match the watch colour options?). Draken branded clasp instead of buckle option? On a mark1 review video, saw the packaging, the zip box came in a cardboard slip cover, consider making that slip in same material as box – making it a really good travel protector for the zip box. Have always preferred brown ‘leather’ look to black. Just personal thoughts, you clearly know your stuff, great brand narrative. Can I purchase a Black Bezel? Hey Mike, I’m a happy Tugela owner and happy to provide feedback. The case: The blasted steel has held up very well for me, and I’ve found titanium prone to scratching, plus the color is dull in comparison to steel. The Tugela really can’t afford to sacrifice any bling. Lighter would be OK, but with a metal bracelet, steel is way better. A steel bracelet would be nice, indeed, assuming it could be installed without tools. Invicta engraves their diver cases, I’m mixed, afficianados pan the effect, so I’d reserve it for specific models. Wish the piece were 2mm thinner, but diameter is perfect and it is a watertight design. The dial-The dials on the Peregrine and the Kalahari are beautiful, and matte blue sounds interesting, the blue dial should have the BG lume, IMO…My C3 lume is a most pleasing retro green as it is, I’m afraid the brightness would suffer if more green dye was used in the product because it is faint by morning. The bezel: Not a fan of the “Wabi” concept, I want my precious timepieces to look new, not broken in. No complaints, nonetheless, mine is tough and tight enough. As is the movement, but an upgrade sounds cool. I like the leather straps and personally wouldn’t welcome any stitching, as it looks less rugged and they fail. I’d like to see a blue sandwich dial, oranger hands and the blue and the black bezels on a stainless bracelet.. I’d seriously consider a second Tugela. Thanks Jerry. Some great feedback. I tend to agree with you about steel vs titanium. Others have also commented that titanium can feel toy-like and unsubstantial. I can guarantee the lume on the Tugela V2 will be much better. I also like your idea of a sandwich dial, but we are saving this for another model(GMT). I might look at adding a spare bezel insert as a stretch goal, in case people want to swap it out after a few years. Any news on how your plans are going please? When might you luanch this run? Pay an extra $20 for a lumed crown 🙂 or whatever the cost is. We’re getting our new supplier (who did the Peregrine and Kalahari) to do the Tugela. It will be a little bit more expensive, but I think it will be worth it. Going to try get the numbers lumed on the bezel insert too. Hi Mike, thanks for sharing these updates! The new gen really looks interesting and the improvements you told us are very important. I have loved the Tugela since I first saw it on KS, but I am not a big fan of black dials so hopefully this time I will finally jump in for the blue dial! The bracelet would be a great add on, this should be a priority. About Titanium case: if the issue is the weight I would suggest to consider, if possible, to make a slightly thinner case. I would not give titanium a priority, also considering the bracelet should be the same material, with all these other things under development. Maybe titanium can be a feature for a 3rd gen, eventually with additional dial colors. An important feature that is not clear to me: will the “new” NH35 be regulated? This would be another important thing to consider because the NH35 that I have are not precise and among all these interesting upgrades I would not miss the chance to regulate the movement. Looking forward for the launch, good job so far! The Tugela checks most of the boxes for me. It’s my top pick versus the Vanuatu and SR-35. I’m looking forward to the next production run. I would like the case to remain steel. I like the idea of the engraving. Not a deal breaker, but perhaps a high polished or brushed case as an option. Crisp dials and better lume are always good. I agree w/ another enthusiast’s comment about the hands. The matte finish doesn’t translate well. I like the idea of a steel bracelet. A slightly longer crown is good. Perhaps a regulated movement. Add a decorated rotor and an exhibition case back, like the Peregrine. Tighter bezel action and a more satisfying click? Yes please. Aluminum bezel insert is fine. Thanks for the feedback Gerry. I have the Vanuatu, and it is a great benchmark for a solid tool watch. We are using a new supplier for this version, so there is an opportunity to make some big improvements. Foremost will be a better bezel action. There will be a few other improvements that will increase the overall quality of the piece. Your comment about the hands has me thinking… I could have them fully painted. I’m going to try a few things and will share them if I like the results. Good, i just ordered ! With metal bracelet. Can you had pictures with the metal bracelet ! Thanks Louise! I have just added a couple of pics of the bracelet to each of the product pages. It’s not the final sample, but this is the style we’ll be going for. Obviously the Draken logo will be engraved on the clasp. Hi is there a way to order watch with metal and leather strap too please? I think the better way is to order metal bracelet, and add a leather bracelet for 20$. Dimensions are as follows. I will update this info on the website. Been looking forward to this watch, but I’m on the fence because I’d like a more scratch-resistant bezel. What are the chances of any option other than aluminum? Great looking watch, otherwise, and awesome improvements. Hey Derek. Thanks for your comments. We can’t do the bezel in another material as this would completely change the matt finish aesthetic we are going for, and ceramic red and blue colours were not available from our supplier. I also believe that a few scratches on the bezel adds character to the watch. In fact, there is a term for this in Japan – wabi – beauty is found in imperfection. Our watches are made to be worn hard and we expect them to take a few knocks. If your bezel insert does become damaged beyond functional operation, we would happily send you a replacement. I’m really enjoying my original Tugela and I’ve already ordered the all blue. I think the idea of “Draken” etched on the side of the case is a great idea! Like the current bead blasted case and for me, titanium is not really a seller. Thanks Pierre! Really appreciate the feedback.